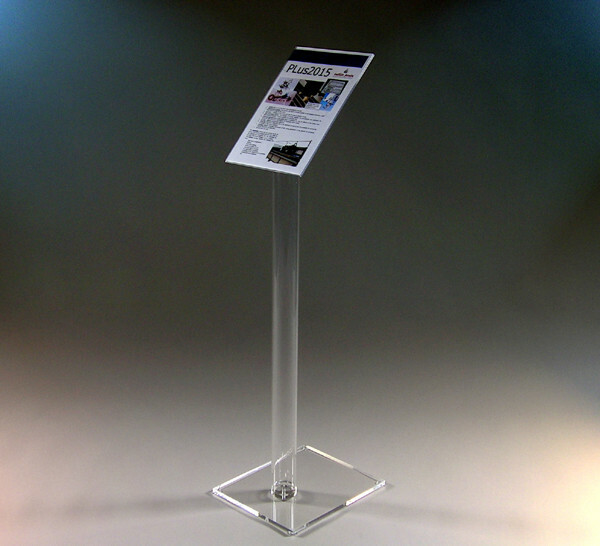 Acrylic A-4 Display Stand for information points. 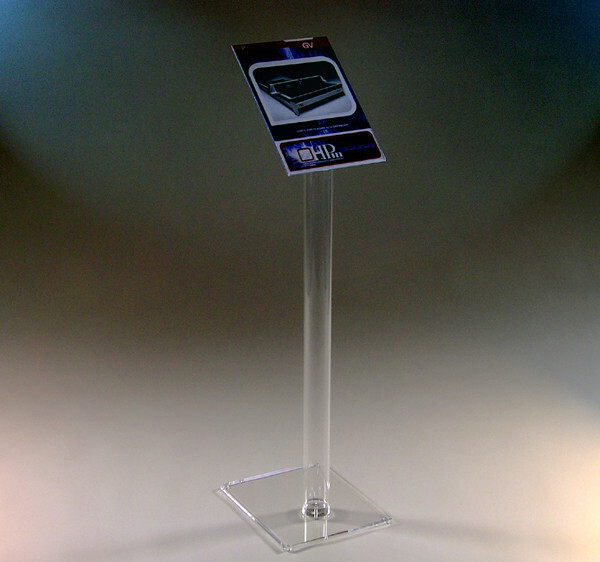 It is ideal for displaying any type of advertisement, information of interest or restaurant menus, etc. 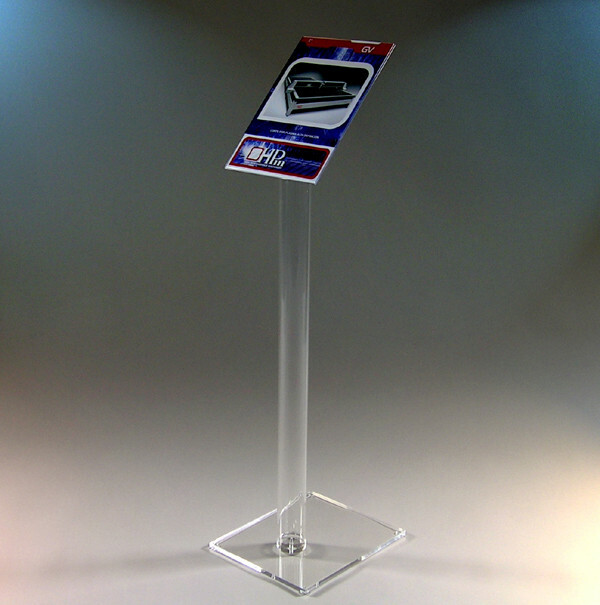 Thanks to its light weight it can be moved and stored without any difficulty. It is delivered disassembled in 3 pieces (easy assembly without tools).